Overwatch League tokens are the only way to acquire the home and away skins for the various teams in the Overwatch League. Fans can collect these tokens through a few different methods, either by dedicating time or spending money. Here's how to get them. Got another 100 @overwatchleague token drop for watching on twitch yesterday. That’s 2 this season! Gonna save it for @ATLReign Baptiste! The simplest way to acquire ​Overwatch League tokens is to buy them directly from Blizzard.​ Tokens can be bought in bundles of 100, 200, 400, 900 or 2,600, for roughly $4.99 per hundred tokens. Each 100 tokens translates to a single Overwatch League skin, both in home and away variants. 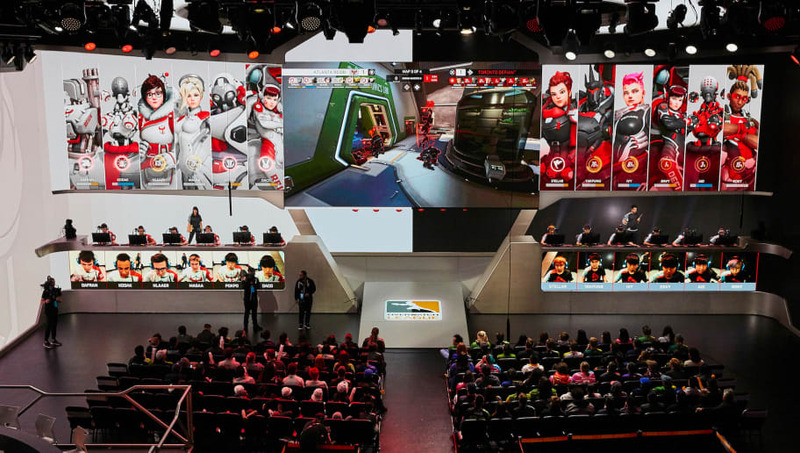 Fans can also earn tokens by watching the Overwatch League live through Twitch, the Overwatch League app, or the ESPN app. Each map's conclusion will award viewers who have linked their Blizzard account with the corresponding viewing platform with a single token. At the end of each day of play, 100 tokens will be awarded to a group of randomly selected viewers.